A “coal (plant) wave” is all set to hit the U.S in the coming decade. With the ever increase in energy requirement, many new coal plants are likely to be opened in the next few years. One plant in Council Bluffs, Iowa, heads the list of a dozen plants under construction. The plant will be fully functional shortly. It is to be observed here that the construction of these power generating plants might spark a clash with the Congress. The Energy Department feels that, this coal wave could lead to the construction of about more than a hundred plants by 2030, increasing the emissions of carbon dioxide, which is the most effective of all the greenhouse gases to cause global warming. The coal plants are the largest sources of electricity in the U.S. Hence, the construction of coal plants becomes a requirement with the increasing need of electricity, as the economy progresses. In Iowa alone, where the new coal plant is being built, the electricity requirement is about 1.25 percent every year. Mr. David.L.Sokol, chief executive of MidAmerican Energy Holdings, which is constructing the new plant in Iowa, indicates that until the availability of new technologies and till the widely talked nuclear power gets ready for use, coal, naturally becomes the primary choice. 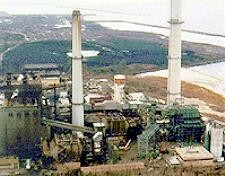 Going to the past, the 90’s saw the advent of natural gas based plants. With the increase in the cost of natural gas, cheaper options like coal overtook the usage of natural gas and other energy sources. Companies say that the new plants are safer, unlike the previous ones and can effectively control the emissions. The plants generally use scrubbers to extract pollutants. Interestingly, there are no such scrubbers to extract carbon dioxide from a plant’s exhaust. Environmentalists suggests the use of integrated gasification combined cycle plants (IGCC), which they feel can trap carbon dioxide and also has the capability to store it underground. But, the construction of this plant itself will cost $200 million and also companies like Siemens and General Electric, which builds such plants, do not guarantee its complete performance. Still experts feel that new technologies will provide us with ideas to trap and store the carbon dioxide emitted from coal plants. But, such technologies are still in its initial phase and might take a decade to go totally commercial. It is to be seen how the Congress will handle this sensitive situation. A boa eating a kangaroo!! !